In order to slow down climate disruption, we must transition from greenhouse gas-producing fossil fuels to non-polluting, renewable energy such as solar and wind. We need to stop new fossil fuel infrastructure. Leave it in the ground! Climate Action Now is a sister organization to the Sugarshack Alliance, which brings together several local anti-pipeline groups. Sugarshack Alliance is currently involved in the struggle to stop the Connecticut Expansion Pipeline in Otis State Forest. Click here to see a compilation of media coverage. For extensive information about regional pipelines please go to nofrackedgasinmass.org. 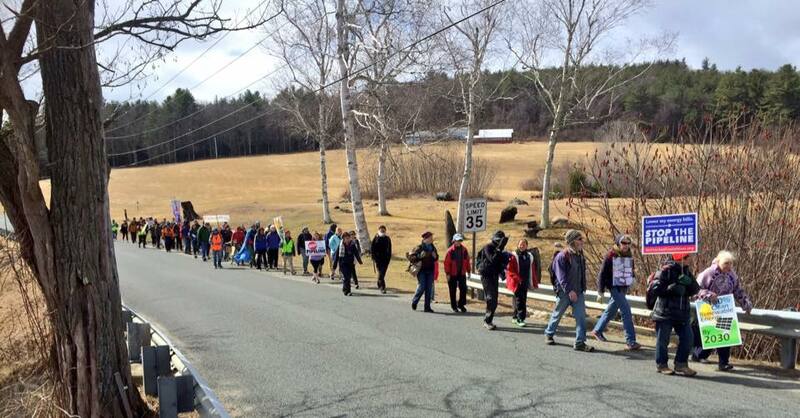 This project combines these goals in one lawsuit against the Federal Energy Regulatory Commission (FERC), the agency that approved the Kinder Morgan gas pipeline in Sandisfield, Mass. and allowed the destruction of Ceremonial Stone Landscapes that are of cultural significance to indigenous peoples. Please note: Sugar Shack Alliance has offered a matching grant for up to $4000. Please make a donation on our fundraising page https://tinyurl.com/CeremonialStones. Once we match this grant we will have only $500.00 to go. Do you know that hidden among the hills and valleys of New England are Ceremonial Stone Landscapes created over thousands of years by the indigenous peoples of this region? Indigenous tribes along the east coast of North America used stone structures as part of their religious and cultural ceremonies, and some of these sacred sites are now being destroyed for gas pipeline projects. 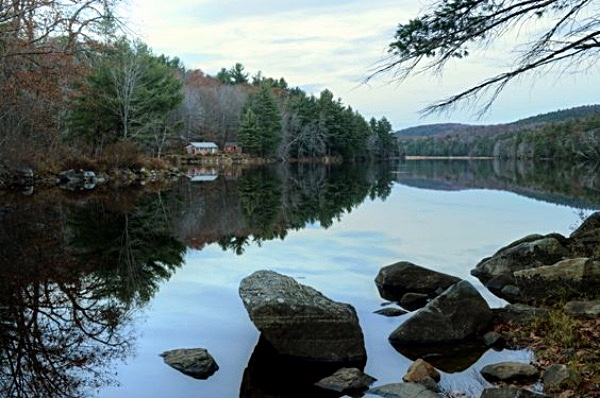 Last summer, right in our own backyard, Kinder Morgan/Tennessee Gas Pipeline built the Connecticut Expansion Pipeline through protected land in Otis State Forest. In the process they desecrated at least 23 of the seventy-three ceremonial stone landscapes that had been identified by the New England tribes. What are ceremonial stone landscapes? A ceremonial stone landscape is a series of stone groupings, petroglyphs, chambers, or other features created by indigenous reasons that include marking astronomical cycles, deaths, or other significant events. In the Northeast we generally find these “prayers in stone” hidden in fields, woods, near streams, and even under water. Doug Harris, the Deputy Tribal Historic Preservation Officer for the Narragansett Indian Tribal Historic Preservation Office, explains the traditional belief that these stones are physical manifestations of living prayers to Mother Earth, calling for balance and harmony in places where traumatic events took place. They should not be altered. When the stones are disassembled and reassembled, the spiritual content is broken. Who allowed this desecration to happen? Any time federal approval or federal funds are required for a project, the National Historic Preservation Act (NHPA) mandates a federal agency, in this case FERC, to consider the impact on historic and cultural resources before the project is approved or funds are expended. The NHPA requires consultation with federally recognized Indian Tribes for projects that are on tribal lands and with any tribe that “attaches religious and cultural significance” to the property, regardless of where it is located. FERC approved the Connecticut Expansion Project before the Tribes documented the 73 ceremonial stone landscapes that would be impacted and then did not engage in meaningful consultation with the tribes on how to mitigate the impact on them. This is nothing new – FERC regularly violates NHPA by delaying review until it is too late to avoid destruction of these sacred resources. FERC’s failure to follow the requirements of the NHPA is illegal and the Narragansett Tribe has filed a lawsuit. One third of the ceremonial stone landscapes in Otis State Forest have already been destroyed. Why file a lawsuit now? When it learned that the ceremonial stone landscapes would be destroyed, the Narragansett Indian Tribal Historic Preservation Office (NITHPO) moved for party status in the FERC permitting process and opposed the start of construction. On May 10, 2017, NITHPO requested a rehearing of FERC’s order that authorized construction; it took until January 10, 2018, for FERC to deny the request. It was too late to save the stone landscapes from destruction. On March 2, 2018, NITHPO filed a petition in the U.S. Court of Appeals for the District of Columbia Circuit asking the D.C. Circuit to review: 1) FERC’s orders granting the Tennessee Gas Pipeline the right to construct the Connecticut Expansion Project, and 2) FERC’s rejection of NITHPO’s request for rehearing.FERC also denied NITHPO’s motion to intervene, forcing NITHPO to file a second request for rehearing, and then filed a motion to dismiss NITHPO’s petition in the D.C. Circuit. 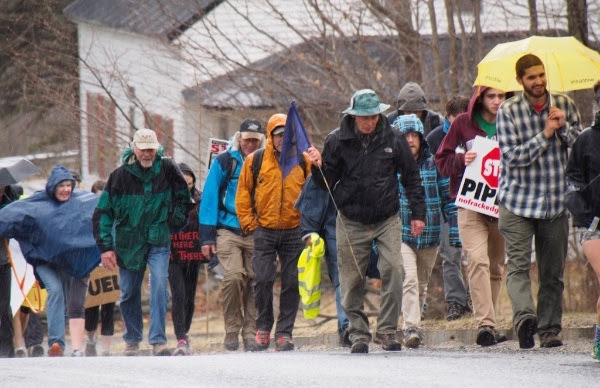 These procedural maneuvers indicate that FERC is trying to keep NITHPO out of court. Although harm has been done, good can still come of it. Across the U.S., fossil fuel infrastructure is being built at an alarming rate. FERC oversees all interstate gas pipelines and many other energy infrastructure projects in the U.S. The goals of this case are threefold: to clarify and enforce federal law, namely the National Historic Preservation Act; to clarify FERC’s consultation requirements; and to establish FERC’s fiduciary duty to Tribal Nations. After reading the parties’ briefs and questioning their counsel in oral arguments, the U.S. Court of Appeals will issue an order that will be binding on FERC. If NITHPO prevails on some or all of its claims, FERC will have to comply with the court’s holdings in future pipeline and other projects across the country. Given the historical and continuing genocide of indigenous peoples through the taking and destruction of their lands, their resources, their sacred sites and their way of life, this campaign offers us a rare opportunity for a concrete act of solidarity and respect, and in that spirit we are asking you to join our efforts with as generous a contribution as you can offer. NITHPO’s lawyer, Anne Marie Garti (who was instrumental in defeating the Constitution Pipeline in New York State) believes this case has a high likelihood of success. She is working at a reduced rate for this social justice effort. Because of the generosity of people like you, Climate Action Now has raised $48,248 for this lawsuit through donations and a few small grants. We are hoping that this is our final fundraising appeal. We only need another $8,500 to fund this lawsuit. You can be part of this precedent-setting case. Please give as generously as you can – a gift that’s significant for you – whether that is $5 or $1,000. Climate Action Now (CAN) has a long-standing commitment to challenge the construction of any new and existing fossil fuel infrastructure in our region. As part of that commitment we have been deeply involved, along with other groups and organizations in Western Mass, in efforts to protect Otis State Forest, in Sandisfield, Mass. CAN opposes construction of the Kinder Morgan Connecticut Expansion Pipeline, which will involve the felling of thousands of trees, endangerment of protected bird species and wetlands, and destruction of sacred Native American ceremonial stone landscape features, in this pristine forest in the southwestern corner of Massachusetts. 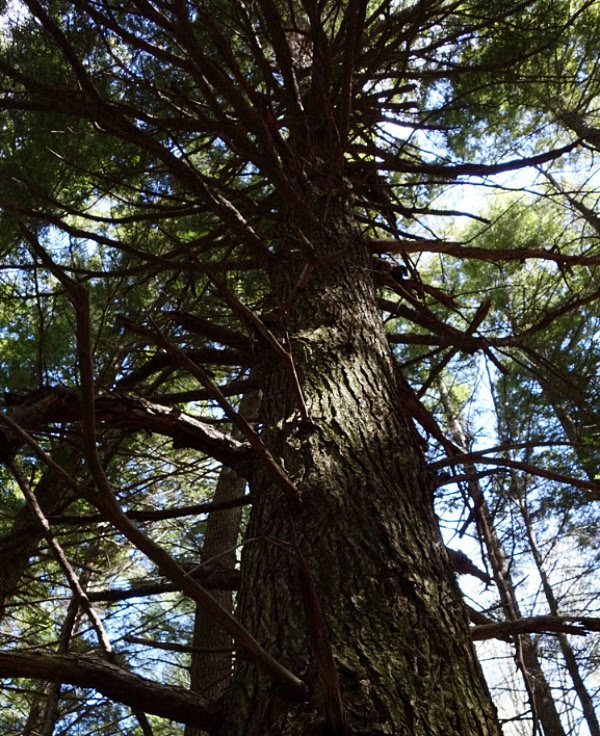 At present, Kinder Morgan is awaiting a “Notice to Proceed” from the Federal Energy Regulatory Commission so that they can begin tree felling in Otis State Forest. Tree felling could begin soon. Seventy-three sacred ceremonial stone landscape features have been identified along the proposed pipeline route. There is currently an effort to explore legal avenues to protect these sacred ceremonial stone landscapes from being destroyed by the pipeline project. If money is raised in excess of the attorney’s fees needed in this endeavor, we will redirect any excess funds from your donation to help cover the legal costs incurred in the ongoing legal challenge to the 401 Water Quality Certificate for the Connecticut Expansion Project, another avenue we are pursuing at this time. Thank you for your kind attention to this urgent and time sensitive request. Saturday, July 16, 2016 Join us for one or both events! Music, speakers, kayak & canoe flotilla! Can you lend a hand? 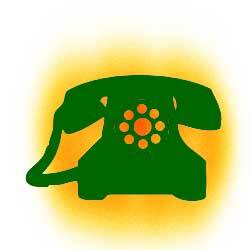 Helpers are needed at Great Barrington (12-1pm) and Otis State Forest (2-4pm). Sign up by sending a message here (please indicate which location you will be attending and let us know by 5 PM on Wednesday, July 13th). Photo by Geoffrey Coelho… thank you! Pipeline Action Alert: Tell the Governor and Your State Rep: No Pipeline Tax! The Mass House of Representatives will soon release the Omnibus Energy Bill. The fossil fuel industry is working overtime to ensure that this bill includes a PIPELINE TAX, effectively forcing the public to finance unnecessary and dangerous gas pipeline expansion projects. This tax has the potential to help bring the Kinder Morgan fracked gas pipeline back to life. 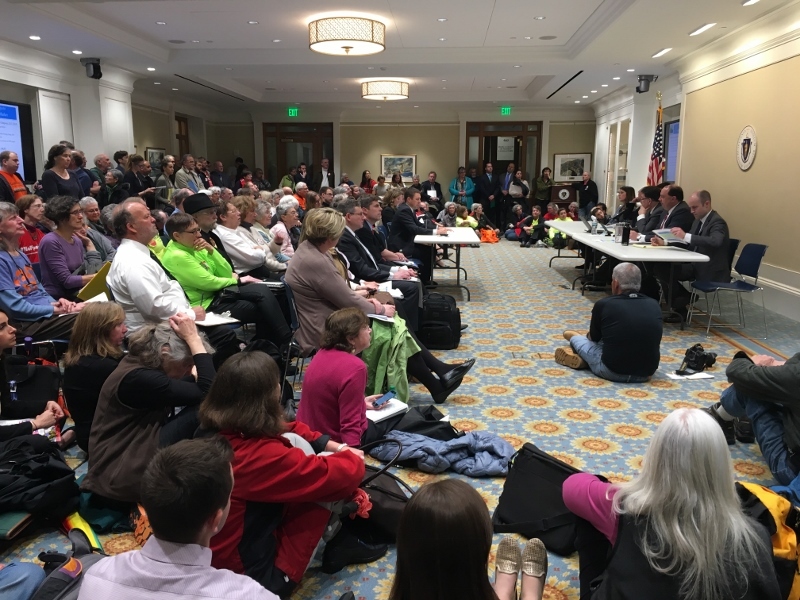 We stand firmly against any bill that taxes the people of Massachusetts to pay for fossil fuel pipeline subsidies; the climate crisis we face requires intensive efforts at increasing energy efficiency and renewable sources of energy. We are asking everyone to take the actions below and to spread the word. Go here to send a letter to your state representative telling them that an energy bill containing a pipeline tax is completely unacceptable; if a pipeline tax is included we want a NO VOTE on the bill. We are hearing from people in the State House that legislators need this reminder now; events will move swiftly once the draft of the bill is released and it will be harder to make our voices heard. A number of our reps have submitted a letter against the pipeline tax; when you call, you can thank your rep if they signed the letter, but let them know that no matter what, you want them to vote against a pipeline tax! Please ask your rep to sign (if they have not already) an excellent letter about energy priorities being circulated by Rep. Ehrlich’s office. Please go here to read the letter and to see if they have signed on. Please call (617.725.4005) and write to the Governor with the same message.